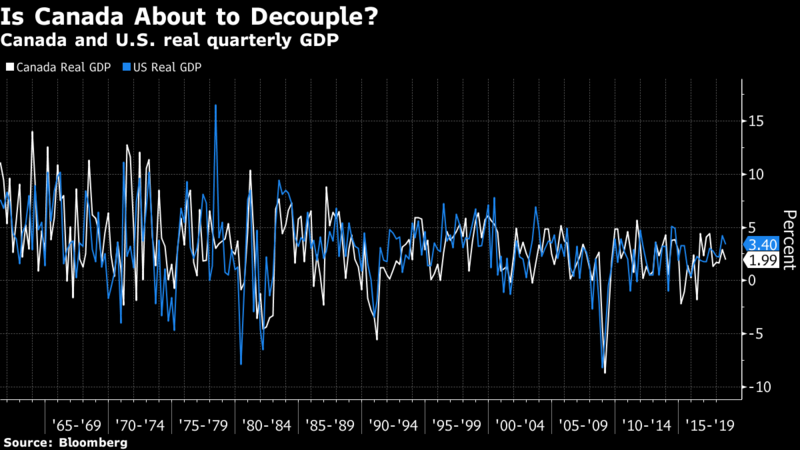 For Mylonas, the irony is that surprisingly strong growth in the U.S. this year may push Canada over the edge. The expansion will force the Federal Reserve and Bank of Canada Governor Stephen Poloz to raise rates, he said. 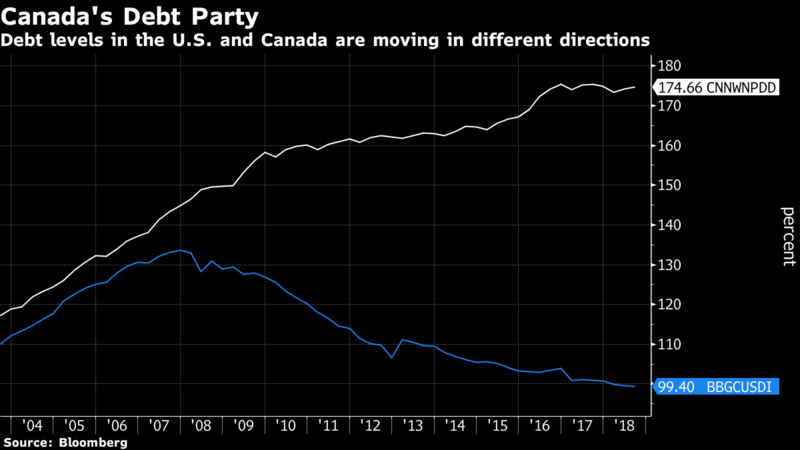 The debt-laden Canadian consumer is ill-equipped to handle higher borrowing costs, unlike their U.S. counterparts who dialed back borrowing following the housing crash a decade ago. Canada’s economic fortunes have always been tightly linked to its southern neighbor, the destination for about third quarters of its exports. The U.S. economy has reduced its imbalances after sparking the worst credit crisis in almost a century, led by a plunge in real estate. In Canada, which largely avoided the crash, corporations and consumers have been piling on debt ever since, Mylonas said. The debt to disposable income ratio in Canada rose to 175 percent at the end of September, from 137 percent in 2006, before the start of the financial crisis. By contrast, U.S. household debt to disposable income was below 100 percent as of September, the lowest since 2001, according to data compiled by Bloomberg. Even at its recent peak, the U.S. ratio never topped 140 percent. --With assistance from Erik Hertzberg and Kristine Owram.